Cynthia Phillips is a senior scientist know for her work in combinatorial optimization. Her other research interests include algorithm design and analysis, parallel computation, scheduling, network and infrastructure surety, sensor placement, wireless networks, integer programming, graph algorithms, vehicle routing, computational biology, experimental algorithmics, complex network analysis, and cybersecurity. She received a Ph.D. in computer science from Massachusetts Institute of Technology in 1990. 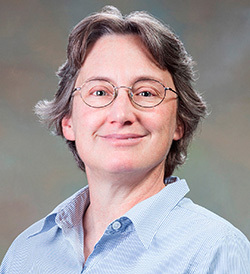 She was named a SIAM Fellow in 2016, and in 2015, the Association for Computing Machinery listed her as a Distinguished Scientist.